The inaugural solo show is finally live! I recorded this not long after my talk with Dr Becca Tarnas (episode 4). Glad it’s finally out there. 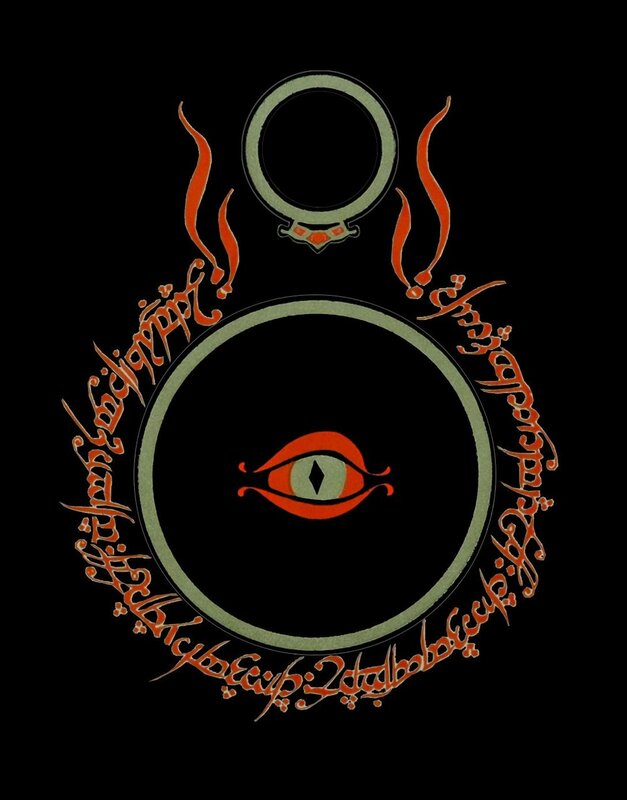 In this episode, I’m linking Gebser’s insights on the phenomenology of awakening consciousness (Bewusstwerdung phänomenologie) to some of the existential problems of the hyper-mediated self, and how this all ties to the important mythopoeic image in J.R.R.’Tolkien’s Middle-Earth: Sauron’s eye. Facebook and social media seems only to rev up the cultural fragmentation of communities into smaller and smaller siloed identitarian groups in a “post-truth world” (which, alone, is worth discussing in another solo show). In the age of networks, why is it that communication is breaking down? As I argue, and as Gebser points out, or Douglas Rushkoff has been articulating in his recent Team Human book (and elsewhere, such as Life, Inc), much of this has to do with the underlying structure of consciousness we’ve been leaning on since the Western Renaissance: perspectival consciousness and its potent but immoderate capacity of ratio, to divide. 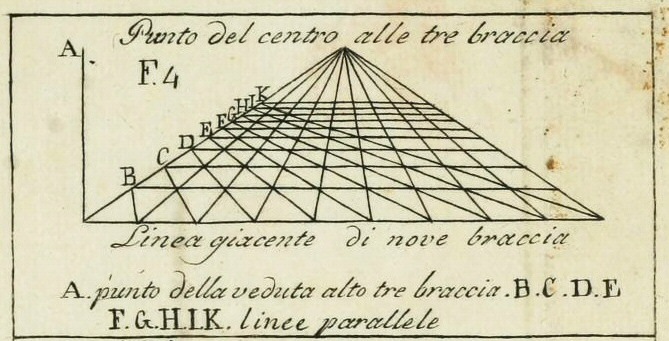 Extractive capitalism, deficient mental-perspectivalism’s spatialized “eye,” and the mythopoeic image of Sauron’s eye all offer us different ways of looking (pun intended) at the phenomenology and crisis of culture (kulturphilosophie) in our own mediated moment. Join my Patreon. 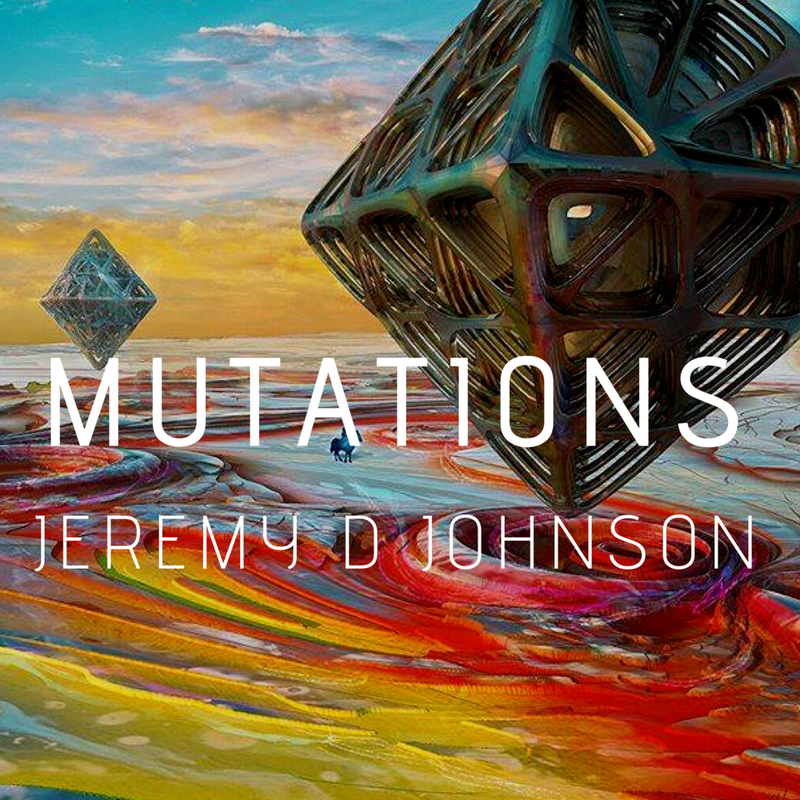 Become a “Mutant” and gain access to the community forum (hosted on a private Discourse page), unpublished writings, participation in the MUTATIONS book club, and our regular, Sunday MUTATIONS salon hosted weekly on Zoom Meetings. 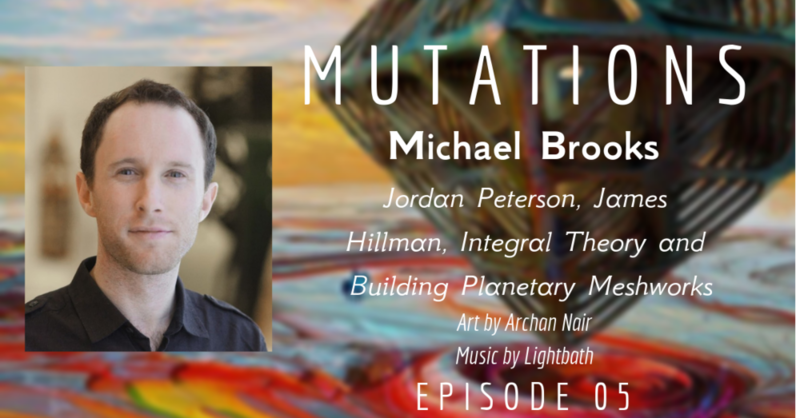 For the fifth episode of MUTATIONS, I am pleased to bring you Michael Brooks. Michael is a political journalist, integral thinker, and host of The Michael Brooks show. 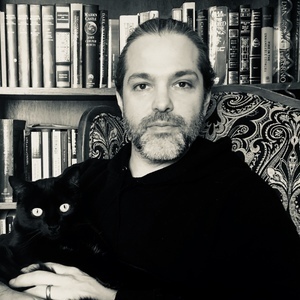 Together we explore the Intellectual Dark Web (the subject of his upcoming book from Zero Books) and Jordan Peterson. We also consider the alternative depth psychologist, James Hillman (who arguably speaks more from the left), the applicability of Ken Wilber’s Integral Theory to politics, a need in the consciousness culture for a historic grounding in economic theory, and building towards authentic, bottom-up planetary meshworks. Notes: This conversation and the heated, bifurcated response to it (200k+ views) is very interesting. So much so that there was a follow-up episode with Rebel Wisdom to reflect on why it hit such a nerve. Ken Wilber, in the late 90s and early 2000s, critiqued much of postmodern academia and the progressive left as “flatland reductionism,” “mean green meme” (via Don Beck’s Spiral Dynamics), and “aperspectival madness” (an unfortunate hijacking of Jean Gebser’s term, ‘aperspectival,’ which means something completely different) many years before the Peterson phenomenon in popular culture. There is some substance in these criticisms, (i.e. “true-but-partial”). As we noted in this episode by way of Mark Fisher’s essay, or Angela Nagel’s Kill All Normies, a critique from within the left is needed, and as Rebel Wisdom says often, “the left needs to get its house in order.” I’m in support of this. However, a knowledge and literacy of leftist“theory” is something I often sense is sorely lacking in the integral movement. This is something that Wilber shares with Peterson: a postmodern “allergy,” a lack of progressive metabolism. Integral oriented thinkers from the progressive left desperately need to step forward and bridge that gap. This is why I’m so interested in working with Jean Gebser’s insights into the aperspectival consciousness/integral culture to explore the phenomenology of our culture: the stasis of Gebser’s deficient mental-rational structure, and the crisis of late capitalism, co-inform my understanding of Mark Fisher’s capitalist realism and the Möbius strip of consciousness-economics-culture (much of the economic theory and critique of capitalism are arguably informed, in turn, by Gebser’s insights on the structures of consciousness and the larger process of cultural evolution at work). This is why we need a grounded-but-visionary counter-culture beyond the Intellectual Dark Web. I appreciate Rebel Wisdom for holding conversations with the left, i.e. this conversation with previous podcast guest Matt Segall. William Irwin Thompson’s Lindisfarne was a fellowship of economists, activists, mystics, poets, philosophers and scientists exploring planetary culture. In the spirit of Thompson’s work in the 70s and 80s, and the spirit of the integral movement’s underlying concepts and values, can we forge new meshworks today towards a genuine planetary culture(s)? What would this entail? How can movements such as the integral movement, or the contemporary consciousness culture, engage with the questions Michael is as a ‘public figure’? How can we bridge the gap? Can we offer an alternative to the IDW, economically grounded, but symbolically and spiritually engaged consciousness culture? For the fourth episode of MUTATIONS, I am very honored to bring you a conversation with Dr Becca S Tarnas. Becca and I have had the chance to work together to offer an online course at Nura Learning last fall, “Journey to the Imaginal Realm: Reading J.R.R. Tolkien’s The Lord of the Rings,” which is now also becoming a book through Revelore Press (in the Nuralogical series), and coming up next Monday, Nura is launching her next online seminar: “Sub-Creating Middle-Earth: Reading J.R.R. Tolkien’s The Silmarillion.” You are most definitely invited to join the class and participate in the fascinating Q&A sessions. 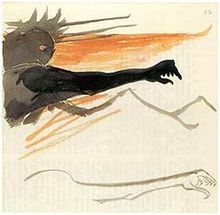 Fantasy as escapism vs. fantasy as “sub-creation.” The connections this has with philosopher Jean Gebser’s concept of Ursprung (origin) and the spiritually creative cosmos. The Silmarillion course — what to expect, what we’ll be focusing on, and how to sign up! 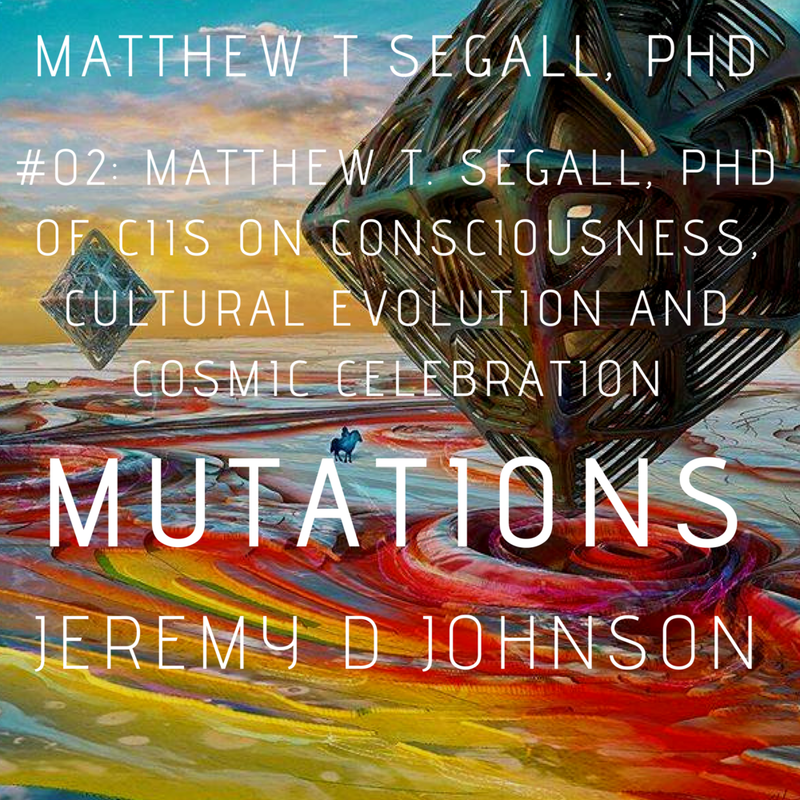 Matthew T. Segall, PhD is a longtime friend, philosopher, and professor over at the California Institute of Integral Studies, where he teaches in the Philosophy, Cosmology and Consciousness graduate program online. Together we discuss the evolution of consciousness through New Media, the "intellectual dark web," planetization through the Anthropocene, pansychism and a celebratory cosmology. A riffing answer to the question: what are the new myths? The logos and the cosmos as a "multiform celebration"
Thrilled to start pushing this series off to sea; do let me know what you think! MUSIC: Thank you Billy Mays III of INFINITE THIRD for permission to use the tracks Vision(s) and In(to) off the fantastic album, Channel(s). This was one of my first solo salon riffs. Topics are mentioned below, with extrapolations from livestream participants. The first few episodes are, of course, me getting my bearings for this format. If you've already listened to these - great! Hope you enjoy the audio format now, too. With the exception of these ongoing solo riffs, most of my interviews with guests will be audio podcasts for maximum syndication. Many of my guests will be involved with Mutations and my book writing. I hope you enjoy hearing some new voices in this nascent but energized community. Editing is left as-is for these older episodes, but newer sessions are getting an intro/outro tune (suggestions welcome). Cultural ecologies and the evolution of consciousness; Deleuze and DeLanda's geographical flows and Teilhardian super-organisms; political fragmentation in the Left and the Right and the push beyond cultural romanticism; Gebser as a post-war thinker. Support me on Patreon. Thank you!